Nate Schrader: I am a Christian, am married to my amazing wife Emily and have been blessed to train myself and others for a living. NS: I played baseball when i was younger. I wrestled, played football and ran track for a few months in high school. I stopped sports when I got to college and did the traditional american “bodybuilding” style of lifting while playing sports recreationally. 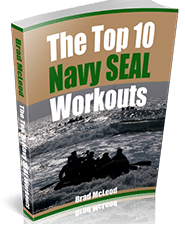 I joined the military in 2005 and continued lifting when I could throughout most of my career. Get all of your Greens + Increase Recovery Time with Athletic Greens – HERE! 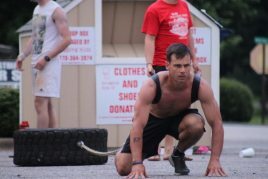 SGPT: How did you get started with CrossFit competitions? Nate Schrader: Some buddies in my company were big into crossfit and their team trained that way so I joined them as my team was full of “meatheads”. I got sucked in, but wasn’t sold out and still researched and adopted various training philosophies. The biggest thing I kept doing was lifting alongside crossfit. Once i came back from a deployment in Feb 2010, my wife convinced me to try the 2010 sectionals…I did, loved it, and have been training for crossfit as a sport ever since. SGPT: Can you tell us about some of your recent competitions and placings? Nate Schrader: 2010 Carolina Sectionals – 3rd, 2010 Dirty South Regionals – 5th, 2010 South Georgia Throwdown – 1st, 2010 “The Ten” – 1st, 2010 Carolina Fitness Challenge – 3rd, 2011 Garage Games – 1st, 2011 Crossfit Open – 12th, 2011 Mid-Atlantic Regionals – 2nd, 2011 Crossfit Games – 14th, 2011 OPTathlon – 1st. SGPT: How do you typically train? SGPT: You spent some time in the Special Forces. First off, thanks for your service. Tell us about that effort? Nate Schrader: I enjoyed being a weapons sergeant thoroughly; wouldn’t trade that time for anything. I learned and grew a lot and made some brothers along the way. I have some things I wanted to do while I’m young and was ready to get out thought, so I did Aug 2010. NS: Competition days consist of a good sized breakfast, depending on what the first workout is and what time my heat is; there’s a lot to this. throughout the day I typically only have protein shakes with lots of complex carbs post workouts unless there are several hours before the next event. then i’ll eat some lean meat and fruit/other carbs. it also depends on how serious the competition is. if i’m doing it for fun and not to test myself and see where i am it may not matter that much to me. i’ve had beer the night before or in between days of small comps before. NS: I do. I’m a huge fan of Progenex and Kill Cliff. I feel more recovered with both of them, especially with multiple workouts. Other than that I enjoy some of OPT’s supplement products. SGPT: Have you had any injuries in the past and how did you deal with them in training? NS: I have had some minor injuries in the past, but nothing that held me back for too long. I actually strained my hamstring 2 weeks prior to the 2011 Crossfit Games, and it definitely affected those weeks leading up to the games and how i approached some of the workouts in the games. currently my shoulders have been bothering me for several months so i’ve had to try to pinpoint what movements are bothering/causing the issues and eliminate them as much as possible to keep me fresh for the upcoming season. it’s worked out so far and if this is where i’m supposed to be, then my shoulders will be ok come the crossfit season. SGPT: Do you have any pre-competition or hard workout warmup or mental drills you perform? Nate Schrader: i like to have some hard rock music playing typically, but other than that nope, just try to keep myself calm and remind myself of the game plan for that workout and not get caught up in the moment. SGPT: What are you reading now? SGPT: Thanks for the interview Nate. Nate Schrader is sponsored by Redefine Fit Athletic wear. Question: Was Nate Schrader in the Special Forces? Yes; read above.